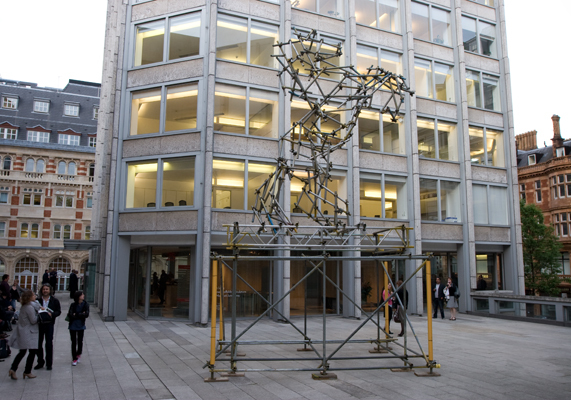 The Contemporary Art Society and The Economist Group are pleased to present Horse Scaffolding Sculpture at the Economist Plaza. 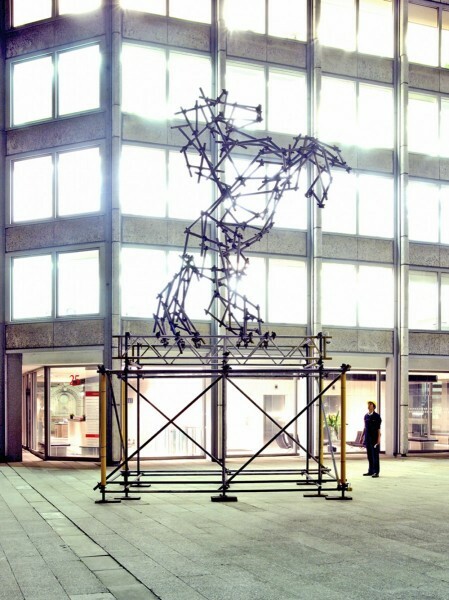 Horse Scaffolding Sculpture will be the fifth construction in Ben Long’s series of continually evolving public artworks. archetype of a rearing horse fashioned entirely from this utilitarian building material. 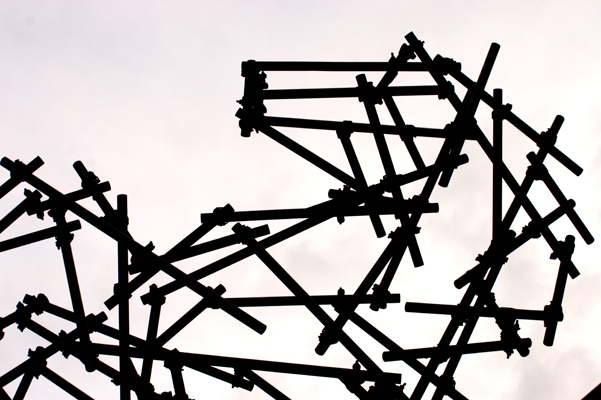 Long’s approach to Scaffolding Sculptures asserts both the value of a disciplined working practice and the playful conception of ideas. 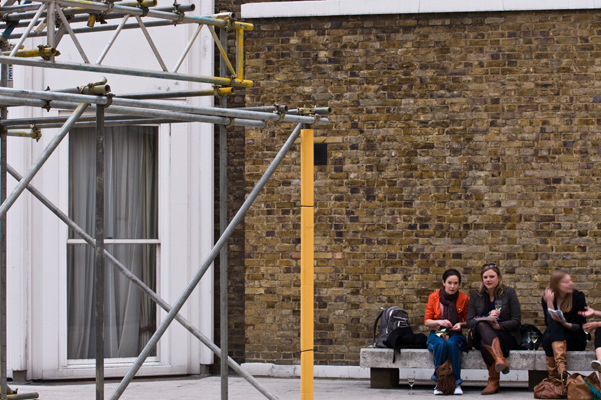 By drawing comparisons between the work of an artistic nature and the hard graft of manual employment, he attempts to democratise the process of creative production. 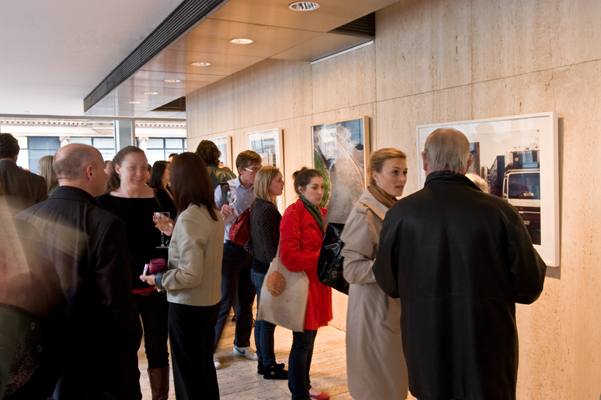 Also on display at the Economist Plaza will be the photographic documents of another of Long’s Great Travelling Art Exhibition projects; the popular drawings made on rear shutters of haulage trucks. Using his finger to scribe into the layer of dirt built up from the vehicles’ exhaust emissions, Long creates the drawings, often travelling with the truck drivers to photograph the transient artworks. The diverse facets of Long’s work are unified by a clear aesthetic strategy in which he attempts to elevate the mundane and commonplace to the realm of art. 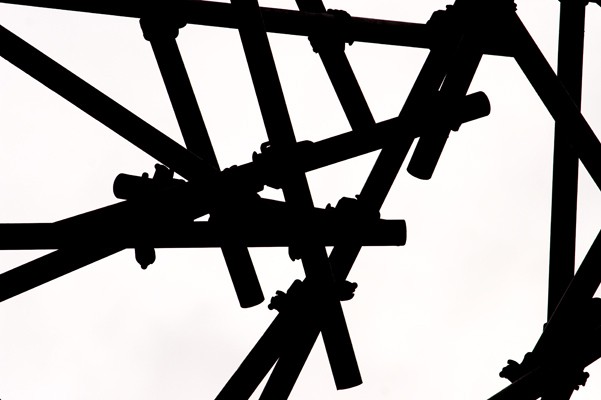 He carefully selects images on the basis of their mass appeal, choosing motifs that extensive cultural use has elevated to the status of a symbolic object. 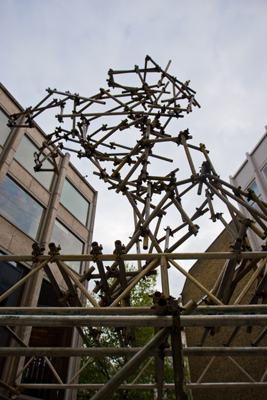 The artist would like to thank D+R Scaffolding Group for their continued support of the Scaffolding Sculptures project.